1. Place walnuts into a food processor until finely chopped. 2. Place chopped walnuts into a bowl with garlic, green onion, lemon juice, liquid aminos, and cumin. Mix together well. 4. 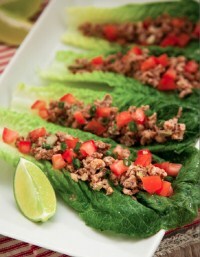 Place a scoop of the taco filling on a lettuce leaf and top with tomatoes. 5. Roll up and enjoy! Walnuts are one of the best sources of omega-3 fatty acids which will help boost weight loss. Plus the polyunsaturated and monounsaturated fat content reduces cholesterol. Aromatic, pleasant and sweet flavor. 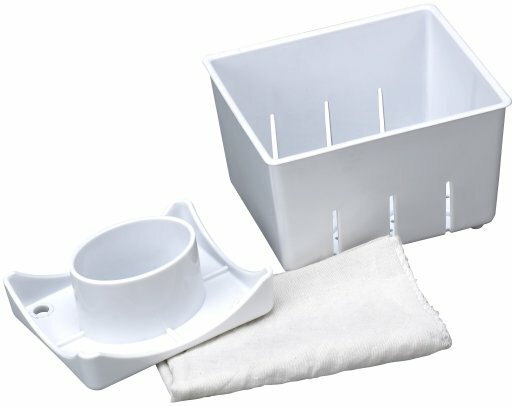 Box and accessories to prepare your own tofu!